Right in the heart of Vancouver, you can find one of the most spectacular boutique hotels. But who says a local can’t indulge in something so remarkable? Beyond the hotel’s charming ambiance, you can discover a sweet holiday treat on the 4th floor. Welcome to Reflections: The Winter Terrace. Usually known for it’s impressive summer patio vibes, this is the second year the patio has been transformed for the holiday season. With a special holiday twist, it’s become one of Vancouver’s much-anticipated patio experiences. This year I was super lucky to get in, and it was more than what I had expected. With twinkling trees, beautifully holidays decorations and old-school Christmas films projected in B&W, it’s a magical place to enjoy a festive cocktail and bite with a friend or special somebody. 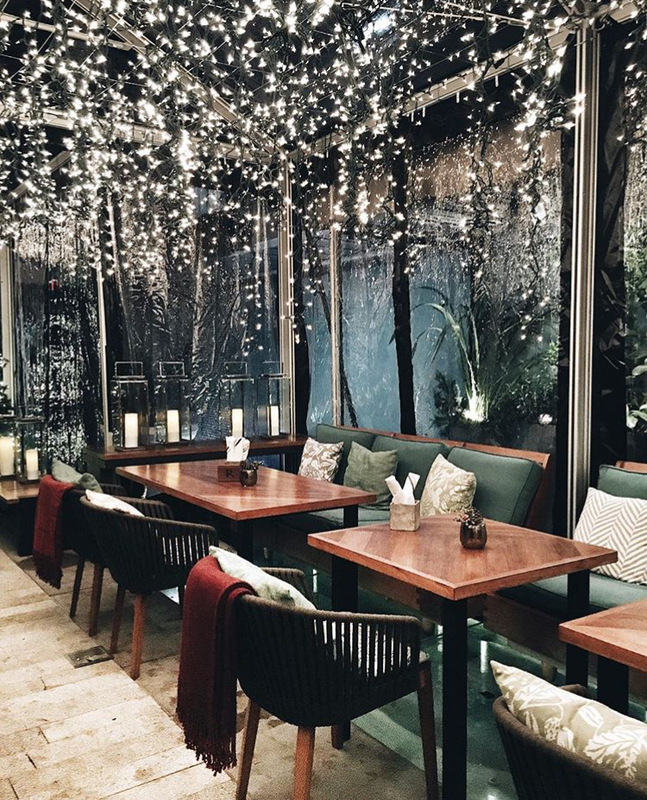 Cozy up and take time to appreciate the ambiance of this magical winter wonderland.